A call for papers that could be of particular interest to SAFN members and FoodAnthropology readers who study festivals, fairs, and other events. Jonathan Kauffman ends his Hippie Food with the following: “When brown rice reminds us all of our childhoods, then the hippie food revolution will finally be won (p. 287. )” This food revolution-its origins, history, and present state-with its emphasis on healthy, natural, organic foods, mostly vegetarian, grown by and prepared by people committed to social change, is the subject matter of this excellent, witty, readable, and enjoyable book. Not only does Kauffman, a noted chef and food writer based in the San Francisco Bay Area, return to the origins of the revolution, he weaves it into the politics, the philosophical revolution, the music, and the zeitgeist of the times. And he occasionally gives recipes! In sum, Kauffman says we are a different food-eating nation because of what the hippies and their forebears have done to our ways of thinking about, preparing, and eating food. This trope, of health foods prepared lovingly by people who believed in the food, who believed in a revolution that would offer an alternative to bland, processed, “poisoned” food (after Rachel Carson,) food that was not nutritional, food that exploited the people who worked the soil, appears throughout. Chapter Two focuses on how brown rice came to be seen as better, healthier, and spiritual. Chapter Three focuses on “Brown Bread and the Pursuit of Wholesomeness,” leading to the artisan bread revolution of today. Chapter Four focuses on Tofu, which becomes “…the Political Dish” (p.131) because Francis Moore Lappe showed the world the high costs and destructive effects of meat production. Kauffman argues that the Hippie Food Revolution comes from diverse sources, many of which those of us in the food anthropology world already know, and others less familiar. Food “changers” like the Seventh Day Adventists and John Kellogg developed early granola and other cereals over 150 years ago (pp.235-7.) Adele Davis argued for healthier eating and vitamin supplements in the early 1950’s (pp.111-3.) Samuel Kaymen helped organize a back-to-the land movement to grow healthier food and then distribute it (Chapter Five.) Chapter Six tells the story of the effect of cheap travel in the Sixties on curries, vegetarian, and international inspirations for alternative food. One splendid result is Anna Thomas’ The Vegetarian Epicure and its sequels. Thomas broadened the range of alternative foods, contrasting much of the earlier non-spicy meals found in the macrobiotic world. This is just a partial list: each chapter reviews the origins of different aspects of this food revolution, eventually seeing it as a social and political response to American culture, traditional American diets, the Vietnam War, and capitalism (Introduction and Conclusion.) Moreover, each chapter has a plethora of information about all the past and recent actors, in this food revolution, with useful citations and references. Many of the names are familiar, such as Julia Child, Alice Waters, and Wolfgang Puck and the Moosewood Cookbook. These co-ops, very fragile operations, were (and are) marginal economically, and, aside from the ideological and factional fighting, exhausted its members, who were and are often workers in the operation. This is an issue I explored in my own dissertation (1976) and expanded in 1981, which Kauffman does not reference. Nor does he explore the excellent work of John Curl’s study about cooperation and cooperative movements (2009.) One of my criticisms of this chapter, apart from this lack, is the failure to focus on the significant work existing on co-operative supermarkets, such as the then Berkeley, Palo Alto, Greenbelt Co-ops, and Associated Coops (the Warehouse for the Bay Area Co-ops), and what the Midwest Food Project out of Chicago with David Zinner did to promote food co-ops and food conspiracies. Zinner continued his work later on in the Washingon, DC. area, as reported by Lucy Norman (1981). Furthermore, Kauffman does not significantly address the extent to which student groups like Students for a Democratic Society grew out of the student co-op movement at the University of Michigan. 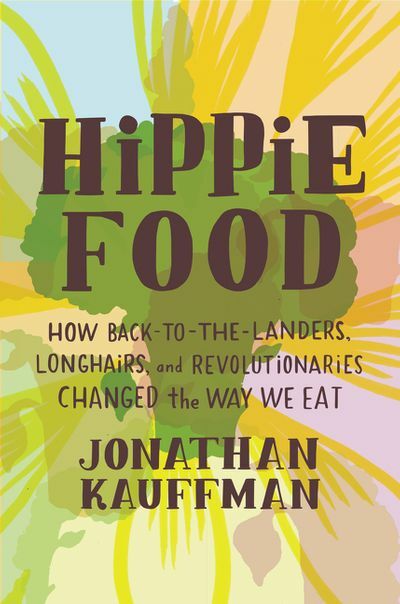 The strength of Kauffman’s book is in the portrayal of the revolution in food hippies brought to America and elsewhere. A cursory examination in one of the centers of alternative food, my home county, Sonoma, California, shows the diversity of foods and of the social changes that are its foundation. Jeff Quackenbush features Ted Robb expanding almond milk production (2018,) Jessica Zimmer tells the story of `another successful woman in the healthy food business, in this case, juice (2018.) The revolution has changed the way we eat and empowered the people who produce what we eat. I would add to Kauffman’s end statement: we will remember not just brown rice, but tofu, granola, organic \produce, and artisan bread, for openers. Jeff Quackenbush. Almond Milk for Your Coffee. North Bay Business Journal. v. 32, Number 05. June 4, 2018. p.4. John Curl. For All the People: Uncovering the Hidden history of Cooperation, Cooperative Movements and Communalism in America. PM Press: Oakland, California. Jessica Zimmer. “Gia Balocchi owner of The Nectary advises if you aren’t scared in business ‘try harder’. North Bay Business Journal. v, 32. V. 18. September 13, 2018. pp. 19-20. Richard Zimmer. Observer Participation and Technical Consultation in Urban food coops. In Donald A. Messerschmidt, ed. Anthropologists at Home In North America: Methods and issues in the Study of One’s Own Society. Cambridge University Press: New York. pp. 64-76. Selling Local: Why Local Food Movements Matter. Jennifer Meta Robinson and James Robert Farmer. Indiana University Press, 2017. Jennifer Robinson and James Farmer bring personal experience and long-term interest in farmers’ markets and local food to their overview of the current state of the local food movement in “Selling Local”. The book is organized around distinct facets of the movement with a chapter devoted to farmers’ markets, another to Community Supported Agriculture, and two additional chapters conglomerating topics like food hubs, urban agriculture, plain Amish/Mennonite communities, gendered challenges, and land acquisition, among others. A chapter prior to the conclusion presents a really wonderful analysis of local food using Nobel Prize winning scholar Elinor Ostrom’s systems approach to common-pool resources. That excellent chapter was a little out of synch with the rest of the book, but once again demonstrated how much insightful and counter-intuitive understanding can be generated with Ostrom’s approach. The conclusion is an impassioned argument in favor of the promise of local food. “Selling Local” is not anchored within a particular discipline nor does it seem well positioned to shift or reframe the current scholarship on local food, but it is a solid, wide-ranging, descriptive book written by experts with a sympathetic and in-depth understanding of farmers selling their products locally. The local food movement could be studied from many viewpoints, such as a cross-cultural point of comparison to theorize political and economic agency (Counihan and Siniscalchi 2014), as a lens to understand how consumers construct their cosmopolitan identities (Johnston and Baumann 2015), or contextualized as one part of larger social activist projects (Cobb 2011). Robinson and Farmer have directed their efforts toward identifying the challenges and opportunities faced by farmers as they start and sustain farms selling food locally. It is not exactly ethnographic, but their long experience and strong rapport with farmers have led them to include meaningful anecdotes to illustrate their claims. I found these brief farmer profiles fascinating and illuminating. The authors are also well versed enough in local food to expertly identify the key trends and key issues, and to summarize how those trends and issues might impact farmers. The book may not reliably capture aspects of local food in places that are significantly different than the American Midwest and Appalachia. The material is only partially relevant to my ongoing research in Brooklyn, NY and San Juan, Puerto Rico, for example, but is a very accurate reflection of the market vendors and CSA farmers in Williamsport, PA. I imagine people working in wealthy Pacific Coast cities or the arid and ethnically diverse Southwest might experience similar limits in application, not to mention non-American settings. Because the authors have focused more on solid, well-researched descriptive claims, the book is likely to prove relevant for a long time. “Selling Local” will not reshape the scholarship of food movements, and it does not debate and analyze the historical causes of the contemporary local food movement, but given the wide scope and descriptive tone, it would be an excellent choice as one of the core readings in an undergraduate class on the topic of food. Counihan, Carole and Valeria Siniscalchi (eds). 2014. Food Activism: Agency, Democracy, and Economy. New York: Bloomsbury Academic Press. What’s happening with the Washington Metro Food System? The National Capital area is home to more than 6.52 million socioeconomically and culturally diverse people. Urban areas are surrounded by a rich agricultural community that comprises 28 percent of the region’s land mass and contributes about $1 billion per year to its economy. Because the much of population is relatively well-educated and affluent, there is an increasing demand for locally-sourced foods. The food movement provides both an opportunity and a dilemma for regional farmers and producers of value-added products. There are growing numbers of new farmers and food entrepreneurs ready to expand small-scale, local food production. Local governments support the training of more table food producers to meet the growing demand for local, sustainable food, because they see it as a long-lasting element of their economy. Farming is only sustainable if it is profitable. The dilemma for the prospective farmers comes from agriculture’s many challenges, particularly the high cost of land, labor and housing. Because the average cost of an acre of land in the Washington region is more than $75,000, prospective farmers often rent or lease land. In an effort to control nutrient runoff that continues to foul the Chesapeake Bay, farmers must deal with extensive Federal, State and County regulations. Small-scale farming yields a low return on investment, and many farmers must seek off-farm income to make ends meet. Farming is hard physical labor. Unirrigated farmland is a high-risk endeavor, but water access can be difficult. There are comparatively few new farmers. In Montgomery County, Maryland, where I live, the average farmer is 60 years old. Much of the Chesapeake region’s 1.5 million acres of agriculture is dedicated to growing corn and soybeans for animal feed. Most of this goes to the Eastern Shore poultry industry, ranked sixth among the nation’s poultry producing areas. Delmarva chickens consumed over 104.3 million bushels of corn and soybean feed in 2013. Some counties, such as Loudoun in Virginia, have begun developing a food hub to aggregate local produce and work out the logistics of implementing farm to school programs. The D.C. Central Kitchen is the only USDA-recognized food hub in the District of Columbia, aggregating and redistributing more than 200,000 pounds of local produce each year. In northern Virginia, the Arcadia Center for Sustainable Food and Agriculture includes a farm, mobile market, food hub and new farmer education program. Without a doubt, Johns Hopkins Center for a Livable Future (CLF), affiliated with the Bloomberg School of Public Health, is the region’s leader in educating food policy councils and coalitions as well as high school and college students. On October 5-8, 2014, the CLF hosted the Chesapeake Food Policy Leadership Institute. The goal was to build a network of food policy leaders who can more effectively lead food policy groups and better understand food policy actions. “Teaching the Food System” curriculum, created by CLF, is free and downloadable. It includes topics like food history, food and animal production, processing, and distribution, food marketing, and food security. The curriculum is geared toward high school and college students and aims to give them a big-picture understanding of agriculture today. “Introduction to the US Food System: Public Health, Environment, and Equity,” edited by Roni Neff, PhD, CLF Research and Policy Director, was published last month, October, 2014. The textbook looks at a variety of food system issues and focuses attention on connections to public health and other fields. Silver Spring Fresh Farm Market, Silver Spring, Maryland. Photo by Sheila Crye. In 2012, CLF published a Baltimore City Food Environment map of businesses where residents could buy food, along with neighborhood demographic data. The map pinpointed where healthy food choices were and weren’t available. It was the precursor of CLF’s Maryland Food System Map, an interactive mapping tool and database to investigate Maryland’s food system, including how food is grown, processed, sold and consumed. Currently CLF is working with Future Harvest Chesapeake Alliance for Sustainable Agriculture to develop a foodshed plan for the mid-Atlantic region. They’ve partnered with the Southern Maryland Agricultural Development Commission to better understand what food deserts mean in rural areas and how to map them accurately. And they’re working with the Baltimore Food Policy Initiative, which approved use of the map for city programs and policy development. Sheila Crye is a founding member of the Montgomery County Food Council, where she chairs the Food Literacy Working Group. Her business, Young Chefs, teaches healthful home cooking skills to disadvantaged middle school youths through a grant-funded after-school program called Excel Beyond the Bell.